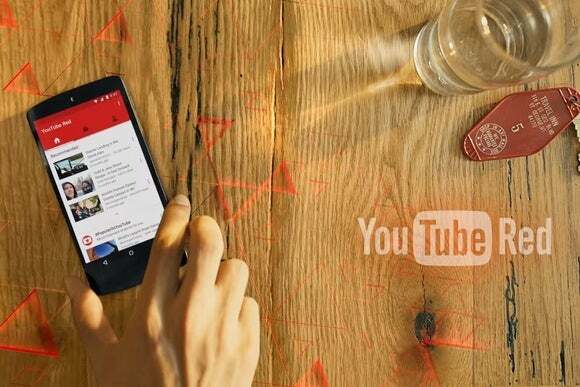 The launch of YouTube Red may prompt another push for premium video. Now that YouTube has launched a paid subscription service, it’s reportedly rekindling discussions with Hollywood studios about hosting more movies and TV shows. YouTube executives have met with studios and production companies in recent months to hear pitches and negotiate content licenses, unnamed sources told the Wall Street Journal. The goal is to secure premium content for YouTube Red, the $10-per-month service YouTube launched in late October. Currently, YouTube Red offers a grab-bag of features, including ad-free viewing, offline playback, and the paid version of Google Play Music. YouTube is also producing original content for Red with several of the video site’s biggest stars, the first of which will arrive in January. Why this matters: If the Journal’s report is accurate, it suggests that YouTube is trying to fashion Red as a more direct competitor to Netflix, Hulu, and Amazon Prime. The service would have some unique selling points too, tying in music subscriptions and the massive quantities of video that populate YouTube already. This would hardly be the first time YouTube has courted Hollywood. Attempts to license full TV episodes and movies date back to 2009. And some networks, such as CBS, have offered ad-supported episodes of classic shows in the past. YouTube has also dabbled in movie rentals, and the site already lets users watch any movies and TV shows they’ve purchased through Google Play. The difference now is that YouTube now has a site-wide subscription service in place. And with the steady rise of cord cutting, Hollywood studios may be more eager to license their content to new streaming services than they were a few years ago. Still, the Journal notes that YouTube’s discussions with Hollywood are in the early stages, and it’s unclear what kind of content the Alphabet subsidiary is pursuing. Also, considering the hefty sums that streaming-music services pay to record labels, YouTube may not have much breathing room beyond the music-licensing component of YouTube Red. The notion of premium Hollywood subscription video on YouTube is far from being a given at this point.